Planter bollards offer you both protection and greenery. Stromberg planter bollards in glass fiber reinforced concrete (GFRC) are sure to help with protection of your property, traffic diversion and added safety for pedestrians and cyclists. 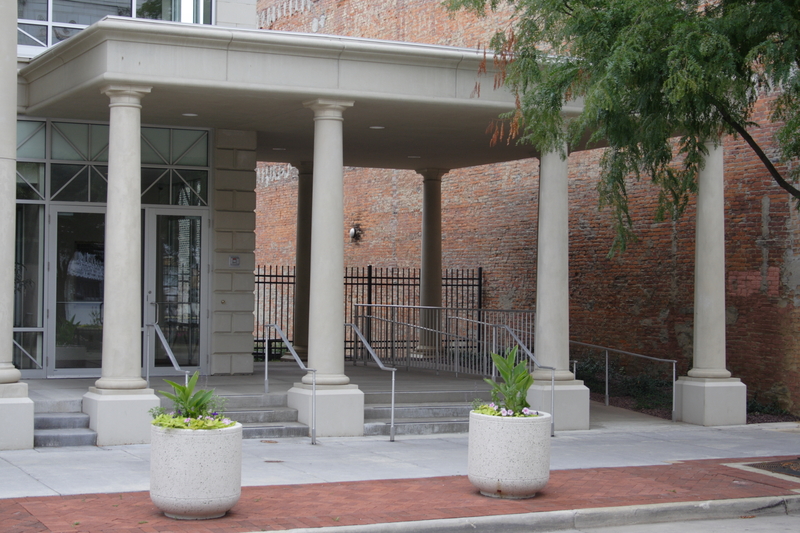 Stromberg planter bollards also offer an aesthetically tasteful touch to your place of business. Most of Stromberg’s planters can be enlarged to work as planters. Planter bollards limit access to cars, trucks and motorcycles. By managing traffic in this way they help prevent accidents and may even save lives. Stromberg GFRC planter bollards can help to make our streets safer and more attractive, thus making city living more pleasant. 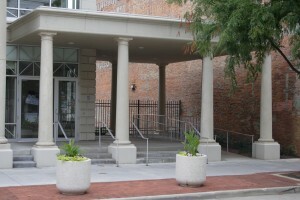 Stromberg planter bollards in GFRC can be used to encompass any kind of building, from restaurants to courthouses to airports. GFRC planter bollards are designed to provide safety and security and are sturdy enough to stop cars and trucks traveling at high speeds. Embassies and military bases around the world trust Stromberg GFRC planter bollards for the peace of mind they provide. Planter bollards in GFRC are very easy to install, are attractive and don’t need much maintenance. They’re an excellent way to protect your investment by keeping cars and trucks from blocking entrances and damaging sidewalks, giving you more control over your environment. GFRC plantar bollards from Stromberg can be used as a landscaping element and they can protect recreational and entertainment areas. Stromberg GFRC planter bollards come in a wide variety of colors, textures and finishes, and can even be painted to coordinate with the surrounding neighborhood. Stromberg is a pioneer in glass fiber reinforced concrete (GFRC) and they have 30 years of experience in its use. GFRC has a higher tensile strength than steel due to the quality of glass fiber used. GFRC will weather better than concrete because it’s reinforced with glass fiber instead of steel. Because it’s lightweight, installation of glass fiber reinforced concrete planter bollards is quick and easy. GFRC is an environmentally friendly product; it’s made from cement, aggregates, glass fiber, minerals and polymers. Glass fiber reinforced concrete is durable and fire resistant. The professionals at Stromberg Architectural Products will work with you until your project is completed to your approval. Stromberg is here to help you with CAD details, design assistance and all specifications. Contact them today at (903) 454-0904 and put their 30 years of expertise to work for you. You can also email them.